To say that the iPhone 6 Plus, the predecessor of the iPhone 6s Plus, was a tremendous success would be a bit of an understatement. In the months after its launch last year, Apple's first 5.5-inch handset occupied a considerable portion of the market for large-screened smartphones. 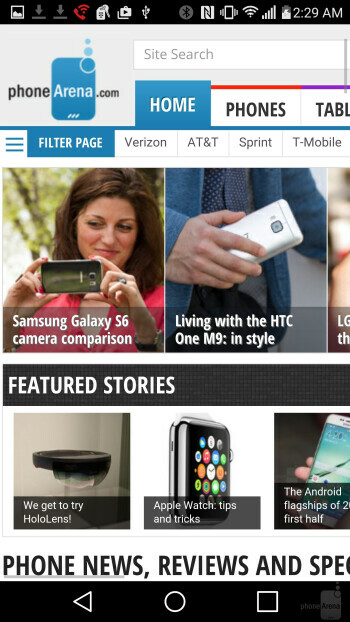 That's not because it was the best, or most fully-featured big screen _phone_ out there. Mostly, it's because Apple offered the overall best solution for those in need of a _phone_ of such caliber – a premium smartphone that's easy to use, takes great photos, has good battery life, and is also excellent for multimedia consumption. Being its direct successor, and an even better smartphone in many ways, the iPhone 6s Plus is put on the same path of success. 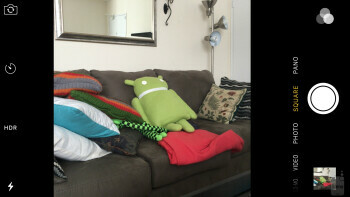 But that's not to say Android manufacturers have been slacking. Quite the contrary, they have profoundly stepped up their efforts! Some, like Samsung, gave it their best shot in imitating Apple's strategy without compromising their individuality — the Galaxy S6 edge+ is the result. But others, like LG, attacked Apple's flagship with a rather unique arsenal of design and hardware ammo. Half a year later, the LG G4 still stands out with its genuine leather back, elaborate camera setup, and sub-$500 price, among other things. If you happen to be cross-shopping between the two, here's everything you need to know to make an informed decision! 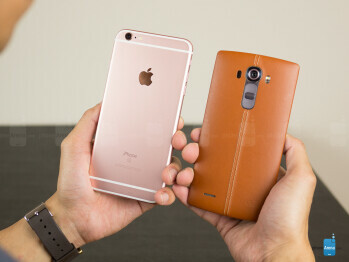 Apple makes an example of aluminum unibody design, while LG gives plastic a rare leather charm. The iPhone 6s Plus essentially recycles its predecessor's design, featuring the same smooth and symmetric aluminum unibody. But the smartphone is made of a different alloy this time around — 7000 Series aluminum — giving it greater strength and durability. The LG G4 couldn't have been any more different with its all-plastic build, optionally enriched with vegetable-tanned leather skin. In contrast, the only bits of plastic on the iPhone 6s Plus are the antenna bands on the back of the handset. 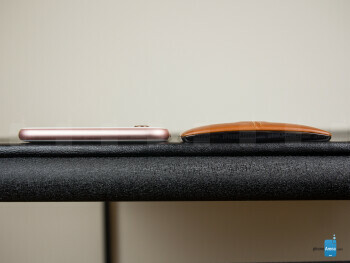 Unlike its competitors, LG isn't very enthusiastic about metal, and neither is thinness much of a concern. While the iPhone 6s Plus measures 6.23 x 3.07 x 0.29 inches (158.2 x 77.9 x 7.3 mm), the LG G4 is a tad smaller, but thicker at 5.86 x 3.00 x 0.39 inches (148.9 x 76.1 x 9.8 mm). 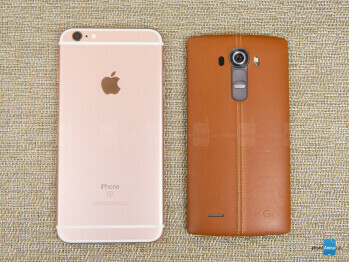 The LG G4 is also a lighter handset at 5.47 oz (155 g), compared to the iPhone 6s Plus' weight of 6.77 oz (192g). But neither this, nor the ergonomic Arc Edge contour, which contrasts the iPhone 6s Plus' less palm-friendly flatness, can make a 5.5-inch screen device easy to operate with one hand. 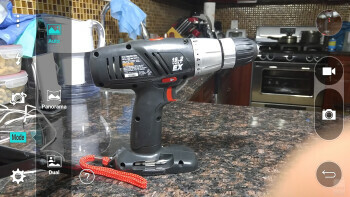 The notable differences between the two don't stop with general design and build. While the iPhone 6s Plus has its volume and power keys positioned in a traditional side arrangement with the Home button sitting below the screen, the LG G4 breaks the convention by having its power and volume keys positioned on the back. 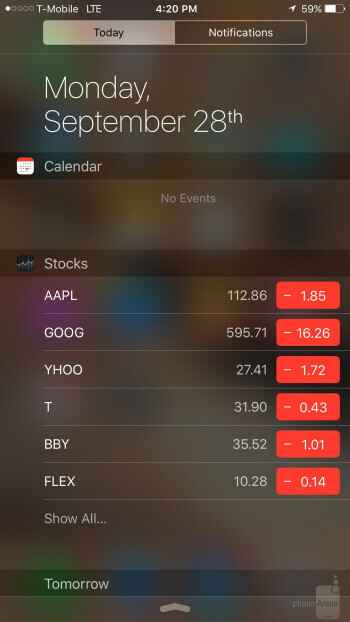 This feels natural and it's easy to get used to, but we can't say it makes for a meaningful difference in usability. 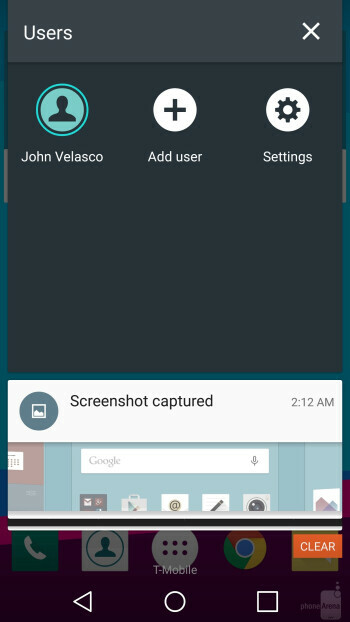 Moreover, this arrangement doesn't let the user operate the buttons while the LG G4 is laying flat on its back, although one is able to double-tap the screen to unlock it. Another thing to watch out for is the absence of a fingerprint reader on the LG G4. LG's hero phone doesn't offer an immediate alternative to the iPhone 6s Plus' Touch ID system, and won't be able to take advantage of Android 6.0's fingerprint security and mobile payments possibilities. But the G4's Knock Code feature can compensate for the lack of fingerprint sensor as an additional option for unique security. Also, consider that the LG G4 features an SD card slot and a removable battery, a polar opposite to the iPhone 6s Plus' tightly sealed body. And finally, the former uses micro-SIM cards, while the latter uses smaller nano-SIM ones. 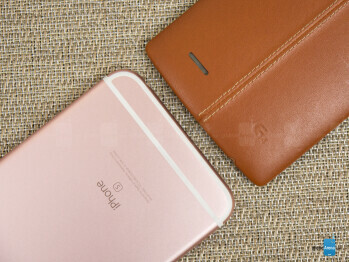 That about ends the general design differences between the two smartphones. Both devices have great 5.5-inch displays as their centerpieces, but Apple has the brighter and more color-accurate one. Both the iPhone 6s Plus and the LG G4 have great 5.5-inch displays as their centerpieces. 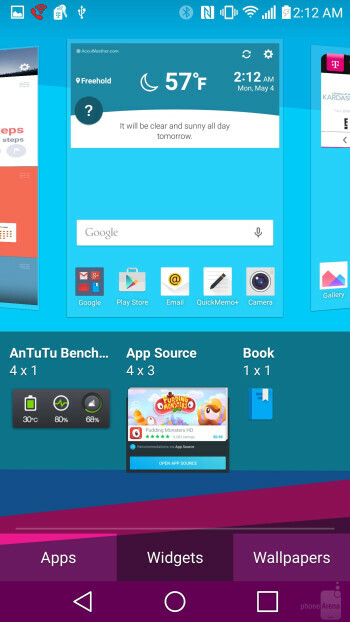 However, screen size and IPS LCD tech is about all they have in common. The iPhone 6s Plus has display with a resolution of 1080 by 1920 pixels, while the screen on the LG G4 has a resolution of 1440 by 2560 pixels. 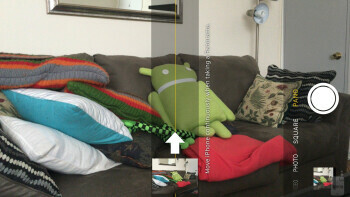 This makes for a difference in pixel density, as the former has 401 pixels per inch, and the latter stands at 538ppi. However, the iPhone 6s Plus' screen is plenty sharp already, and the perceived increase in sharpness on the LG G4 is only slight, if noticeable at all. Sizing up the brightness levels, we measured 593 nits of maximum and 5 nits of minimum brightness from the iPhone 6s Plus' screen. These are excellent values, reassuring that Apple's handset is reliable both in bright light and in complete darkness. The LG G4's maximum brightness is a bit less impressive, at 454 nits, making the screen appear a little dim under direct sunlight. 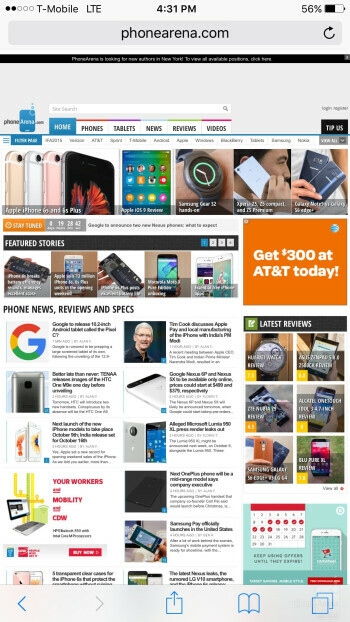 But its 2 nits of minimum brightness make for an even better bedreading experience than on the iPhone 6s Plus. Color reproduction is where Apple and LG head in very different directions with their displays. The iPhone 6s Plus boasts a color temperature of around 7018K, which is fairly close to the 6500K reference mark, where whites appear neutral – neither warm, nor cold. As a result, the iPhone 6s only shows a hint of blue, while, at 8031 K, the LG G4 appears noticeably colder. Moreover, the iPhone 6s Plus has lower Delta E color and grayscale error values than the LG G4. And although both screens have a near-perfect gamma response, making for accurate contrast across the greyscale range, the Apple display is the more neutral and color-accurate of the two. Given that both smartphones have IPS LCD screens and are of generally great quality, one would expect them to have outstanding viewing angles. The truth isn't as straightforward, for the iPhone 6s Plus exhibits lower contrast distortion, but the LG G4 gives off much less color error when viewed at a 45-degree angle. Then again, the G4's color reproduction is already far from the truth as it is, so the lower values don't really count here. Anyway, both displays remain very viewable and behave quite favorably at extreme angles, so there's that! To say that the iPhone 6 Plus, the predecessor of the iPhone 6s Plus, was a tremendous success would be a bit of an understatement. In the months after its launch last year, Apple's first 5.5-inch handset occupied a considerable portion of the market for large-screened smartphones. That's not because it was the best, or most fully-featured big screen phone out there. Mostly, it's because Apple offered the overall best solution for those in need of a phone of such caliber – a premium smartphone that's easy to use, takes great photos, has good battery life, and is also excellent for multimedia consumption. Being its direct successor, and an even better smartphone in many ways, the iPhone 6s Plus is put on the same path of success. 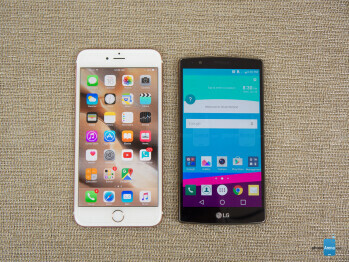 iOS moves faster on the iPhone 6s Plus, but the LG G4 is more productive. Android and iOS may be two very different beasts, but we can hardly remember them being more alike. Over the years, Apple and Google have successfully matched the functionality and polish essentials of the two operating systems. 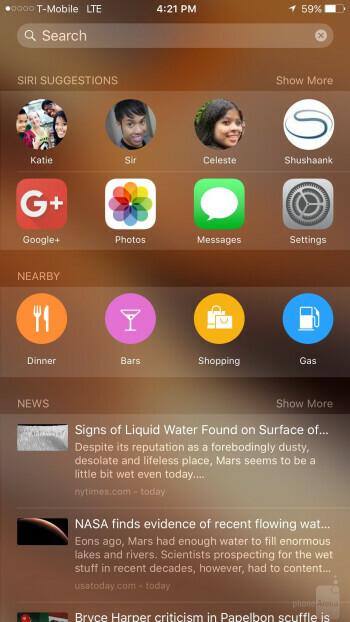 However, the iPhone 6s and 6s Plus are treated to the exclusive features of 3D Touch. 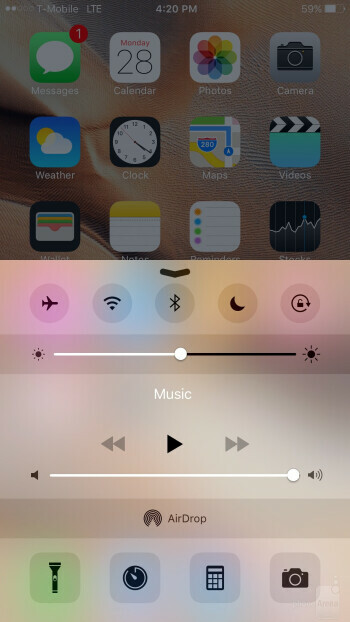 Utilizing a pressure-sensitive layer below the display, 3D Touch enables two new gestures across iOS 9: Peek and Pop. Peek corresponds to a slight press on the screen, while Pop is engaged when the user presses harder. 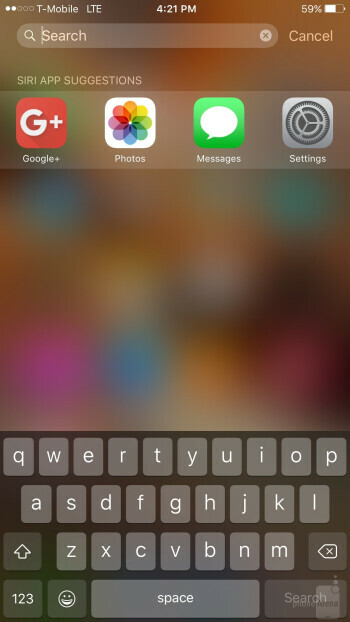 Throughout most of iOS 9's built-in applications, Peek (a light press) causes a small preview window to appear – a preview of the item you have pressed on. For example, in Mail, you can press on an email to reveal a preview of that message. Lifting your finger off the screen will simply cause the preview to disappear. 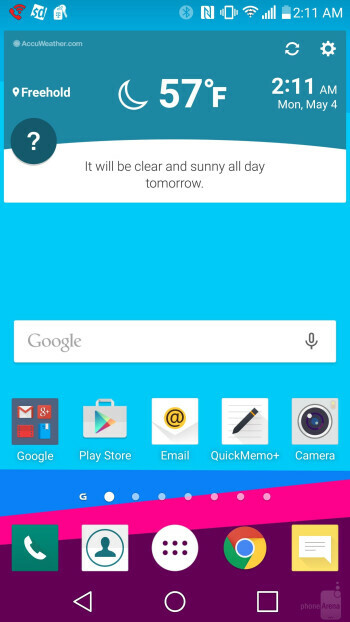 This way, you can quickly glance through your emails without having to open and close them one by one. If you're already peeking into a message, a harder press will cause it to instantly “pop” onto your screen. It's a nifty and useful trick that we like to use. Another feature the iPhone 6s Plus has over the LG G4 is fingerprint security, courtesy of the former's built-in Touch ID sensor. 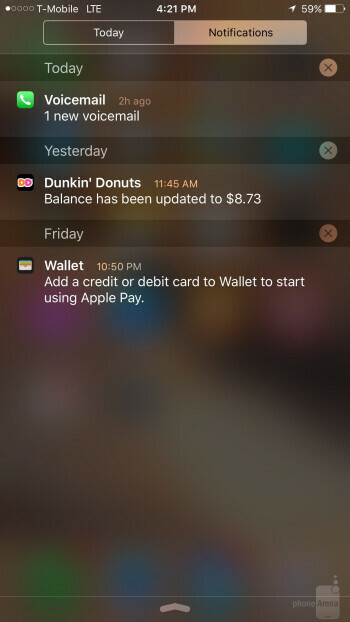 Your fingerprint may serve as an alternative to a lock screen PIN, but is also used to authorize payments made using Apple Pay. In contrast, the absence of a fingerprint scanner on the LG G4 is bad future-proofing and a turn-off to Android lovers who would like to use the Android Pay system. 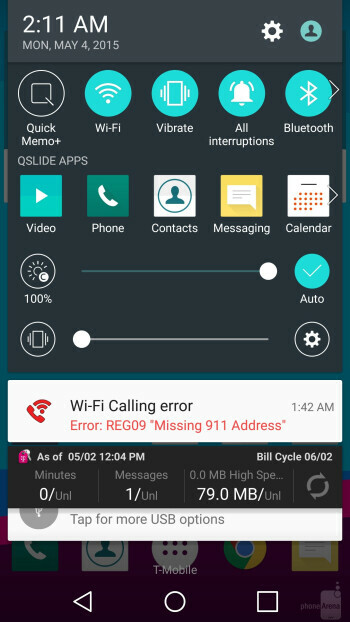 However, some of the LG G4's functionality is still unmatched by the iPhone 6s Plus and iOS 9. Such standout features include Knock On and Knock Code, the former letting you lock and unlock the phone with two taps on its screen, the latter locking and unlocking the device with a personalized tap pattern. 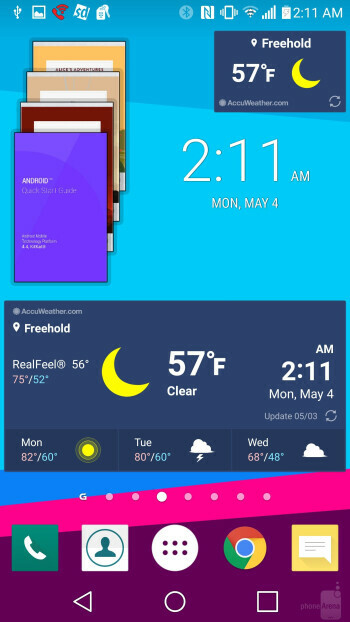 Moreover, the LG G4 supports custom themes, and we'd like to mention the QSlide apps and Dual Window functionality, which let you use miniaturized apps as floating windows, or use two apps in split-screen mode. 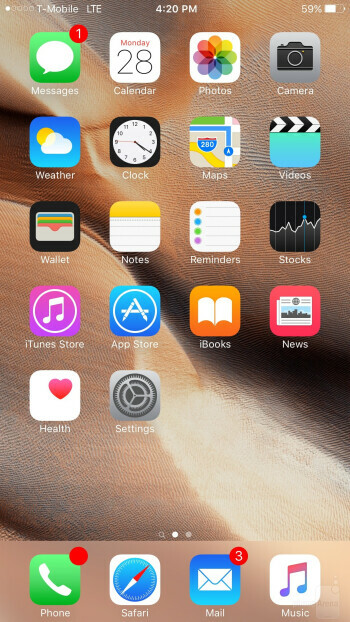 The iPhone 6s Plus' multitasking feels limited in comparison, for all it has to offer is a fast app switcher. Also, LG's smartphone features an IR Blaster that lets it fill in as a remote control for TVs and other appliances. Cutting-edge specs on both smartphones aside, the iPhone 6s Plus' 3D graphics performance destroys all. 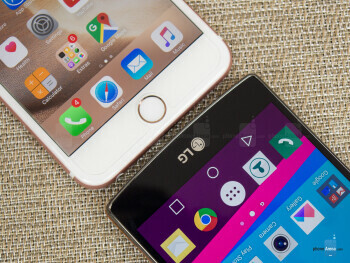 Being premium-tier devices, both the iPhone 6s Plus and LG G4 feature some cutting-edge specs. The Apple phablet is powered by a 64-bit A9 SoC, with a dual-core CPU, affectionately nicknamed "Twister", that goes up to 1.8 GHz. A PowerVR GT7600GPU is keeping the CPU company, along with 2GB of LPDDR4 memory. Storage-wise, the handset comes in 16GB, 64GB, and 128GB variants. There is no option for memory expansion via microSD card. Those settling for the 16GB variant will be at a certain disadvantage, for shooting 4K video, taking 12MP photos, and loading up on apps and music will quickly eat up storage space. The LG G4 employs a Qualcomm Snapdragon 808 SoC that contains a hexa-core CPU, with two high-performance ARM Cortex-A57 cores running at up to 1.8GHz and four power-saving ARM Cortex-A53 cores handling lighter loads. The Adreno 418 GPU is also part of the SoC package, along with 3GB of LPDDR3 RAM. The phone can be had with 32GB of storage, expandable via microSD card. The iPhone 6s Plus is a very responsive smartphone whose operation feels super-tight, more than on the LG G4. 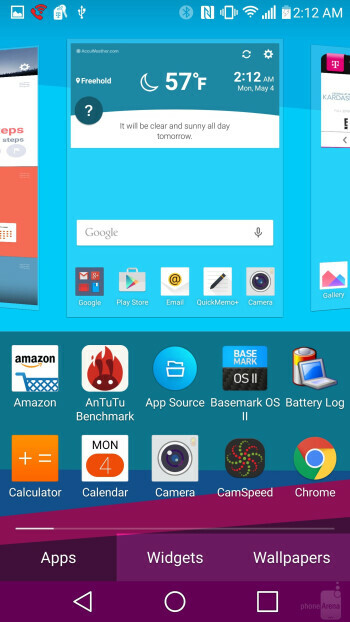 This might sound puzzling, considering LG's flagship has a CPU with more cores and whatnot. But the truth is that the iPhone 6s Plus is incredibly fluid, while its 3D graphics benchmark scores are rivaled only by the iPhone 6s'. Powerful as it is, the LG G4 has a hard time keeping up in 3D games, due to its comparatively underpowered graphics unit and very high display resolution. Thus, the iPhone 6s Plus is able to maintain a staggering 59 average FPS on GFXBench's intense Manhattan on-screen test, while the LG G4 is barely even there with just 9.4 average FPS. The iPhone 6s Plus' performance advantage is also evident during casual use. 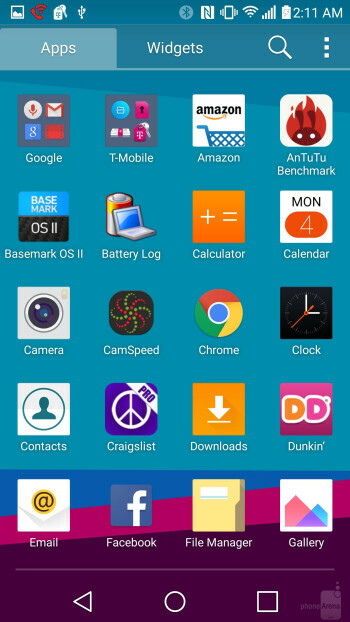 iOS just seems to dance on the screen without a hint of stutter, while the LG G4 feels ever so slightly sluggish at times. Still, for such a feature-packed phone running at a 1440p resolution, LG's flagship feels fluid enough and using it is no turn-off. 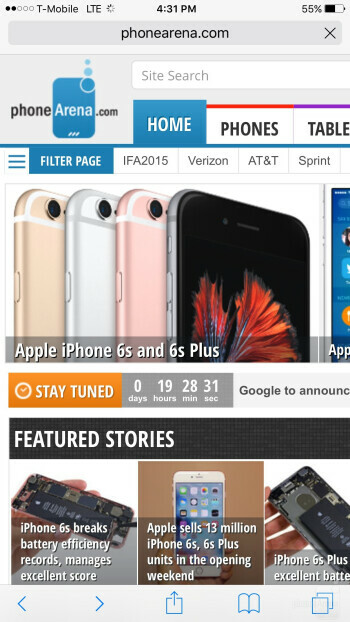 Both devices offer wide standard compatibility and smooth browsing, but Safari on the iPhone 6s Plus is faster. Both the iPhone 6s Plus and LG G4 are connectivity beasts, featuring support for standards like Cat. 6 LTE, aGPS with GLONASS, Bluetooth, dual-band Wi-Fi, and NFC, among everything else that's in there! 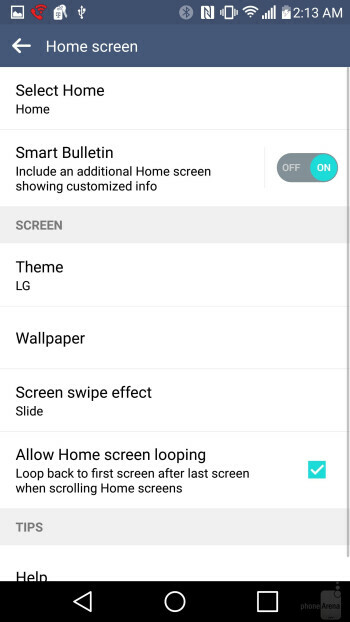 However, the LG G4 also supports display connections via DLNA and 4K video output via SlimPort. The iPhone 6s uses a Nano-SIM card, while the G4 uses the bigger Micro-SIM cards, just so you know. Where web browsing is concerned, Safari's excellence in surfing the web is proven. All of its endearing characteristics, such as speedy page loads, buttery-smooth performance, and intelligent navigational controls are present on the iPhone 6s. 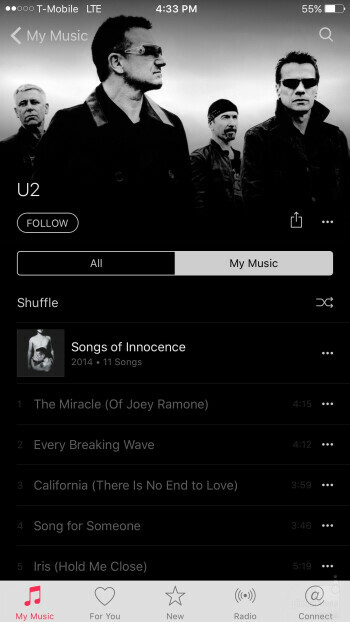 The experience is further enhanced with the addition of 3D Touch. Using light 3D Touch on a link, its Peek feature kicks in to show us a small preview into what we’re targeting – as opposed to blindly committing by pressing on the link like we normally would. 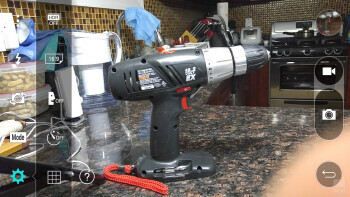 It's a small, but useful feature that one might keep using in the long term. 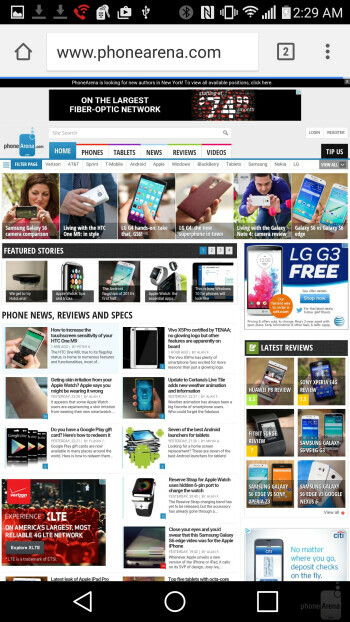 Browsing on the LG G4 feels pretty great as well, especially with that vibrant 5.5-inch display. 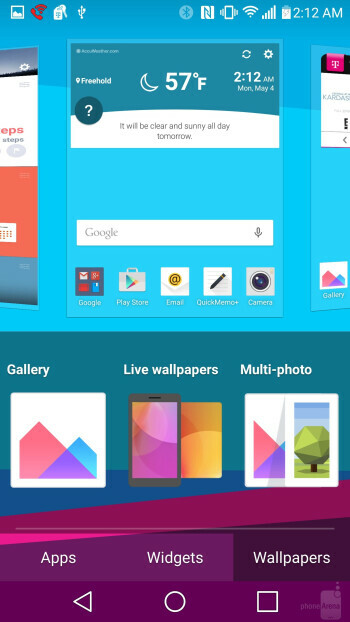 The LG G4 comes with its custom browser, but we'd suggest that you use Google's Chrome, as it tends to be speedier. With it, pages load quickly, while navigational actions, such as scrolling and zooming, are reasonably snappy and fluid. The iPhone 6s Plus has a more reliable and consistent automatic mode, but the LG G4 can soak in more light, color, and detail. With the iPhone 6s Plus, Apple delivered a seemingly modest, but very welcome upgrade to a 12-megapixel rear camera (up from 8MP) with 1.22µ pixels, along with a generous increase to 5 megapixels on the front cam (from just 1.2MP). Accompanying the rear camera, we have a dual tone LED flash, a 5-element lens with an aperture of f/2.2, phase-detection autofocus, a hybrid IR filter, BSI, optical image stabilization, and a sapphire crystal lens cover. Camera specs aside, the most notable new addition seems to be 4K (3840 x 2160) video recording, which puts the iPhone's camcorder on par with high-end Android phones, such as the LG G4. LG's hero phone goes for a more generous 16MP cam at the back, with optical image stabilization and wider, f/1.8 aperture at that, and an impressive 8MP front camera for high-quality selfies. The rear camera is kept company by a color spectrum sensor, a single LED flash, and a laser autofocus system. The color spectrum sensor is located right below the LED flash on the back of the phone. 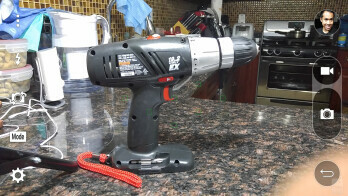 It's there to determine the source of light and adjust white balance accordingly. Being the ambitious cameraphones they are, both the iPhone 6s Plus and LG G4 feature straightforward, yet elaborate camera apps that take very good photos in Automatic mode, which is what users typically opt for. An interesting new feature for the iPhone 6s Plus, one that the LG G4 happens to lack, is Live Photos, which turns photos into short video-like highlights that one can view right inside the gallery. 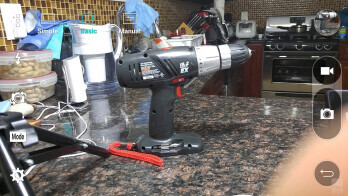 Just hard-press on a particular picture, and the Live Photo will come to life, complete with sound. The LG G4, however, has a complete Manual mode with options to adjust white balance, focus, exposure compensation, ISO, and shutter speed. Outdoors in natural light, you may notice that the iPhone 6s Plus and the LG G4 expose the same scene differently. 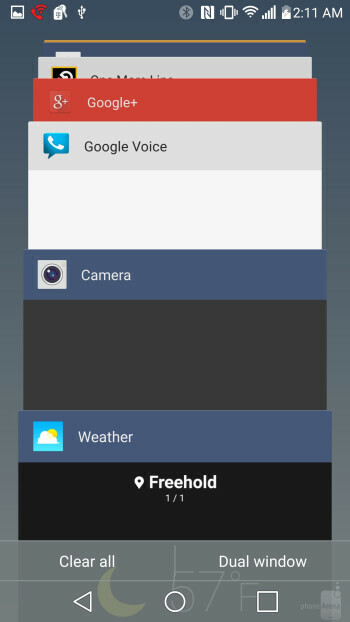 Unless you tap on a particular area of your image, the LG G4 would prioritize the center of the frame, which may lead to overexposure of areas that are already bright and near the corners. Look at camera samples number 3 and 4, where the effect is prominent. On the other hand, the iPhone 6 uses pattern metering, and as a result, images might appear darker in the center, but with highlights away from it exposed correctly. In any case, if you feel like your photo could use a bit more exposure, the iPhone allows you to tweak it easily. We observed that the LG G4 does a remarkable job illuminating objects in the shadows, but gets a bit preoccupied with soaking in all the light available, thus burning the sky's natural blue hue and making colors look a tad too bright and overexcited. Look at camera samples 1 and 2 and notice how the LG G4 actually lets you peek inside the doorway of the white building to the right, while the iPhone 6s Plus pretty much renders the same spot black. 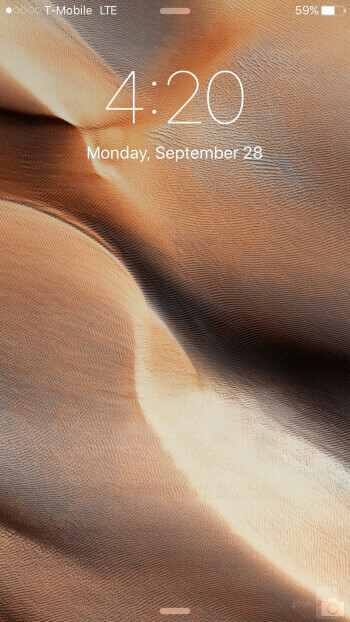 The iPhone 6s Plus won't exhibit such behavior, but the contents in the center of the image are noticeably darker than the rest, while colors lean slightly towards the warm side. However, the amount of detail captured by both smartphones is excellent, but we must give additional credit to the LG G4 for letting in much less noise in the picture overall. 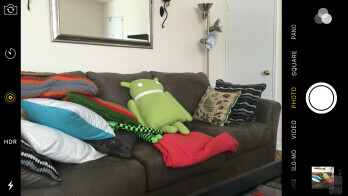 HDR shots are of similar quality between the two phablets. The effect itself is subtle on both, although a bit more pronounced with the LG G4. Fine details look sharp from both, but the LG G4 does capture a bit more from the good stuff. Indoors, in bright light, the LG G4 does a better job with capturing fine detail. This is especially evident from the photo full of stacks of shoe boxes, where fine text on the labels is universally readable, unlike on the iPhone 6s Plus. In this same sample, the LG G4 produces a brighter-looking photo with better contrast. The iPhone 6s Plus darkens the highlights a bit, making colors appear a little dull. This is a general tendency for the iPhone 6s Plus, and, what can we say — in this case, we do like the livelier and more detailed photo from the LG G4 better. Indoors, in low light, a quick inspection up-close reveals impressive detail coming in from the iPhone 6s Plus. The difference in quality is such as to make the LG G4's photos look downright soft and smeary. The color balance is warmer on the iPhone 6s Plus, while its leather-clad adversary adds a tiny hint of red. We definitely like Apple's handling of things better here. Engaging the camera flash, we observe that the LG G4 exposes the scene better, producing more detail and better color saturation. Although the iPhone 6s Plus' outputs stronger lighting, the resulting photo is pale and lacking in detail. Outside at night, the iPhone 6s Plus and LG G4 resolve a similar level of detail across the scene, although photos from the G4 seem less noisy, but the heavy filtering applied tends to crush fine details (look at the pavement). 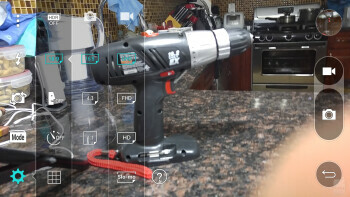 Of note, though, is how evenly the iPhone 6s Plus exposes the scene compared to the LG G4. 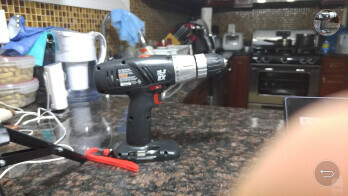 Used in Auto mode, LG's flagship tends to soak in a tad too much light at night, which enables it to illuminate even poorly lit objects, at the expense of over-blowing highlights. The more artificial light sources you have, the more apparent the behavior. The result is a hyped-up, brightened representation of the scene. While unquestionably darker, the iPhone 6s Plus' output is truer to life, even if colors seem subdued. 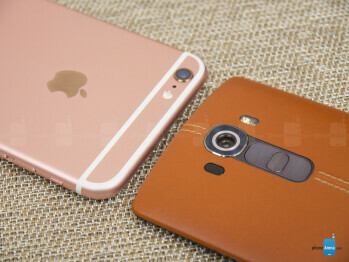 We did mention that both the iPhone 6s Plus and LG G4 are able to record 4K (UHD) resolution video, correct? Well, a key difference here is that the Apple flagship is able to record UHD videos of unlimited length (limited only by the amount of free storage you have), while the LG G4 is limited to 5 minutes per video. 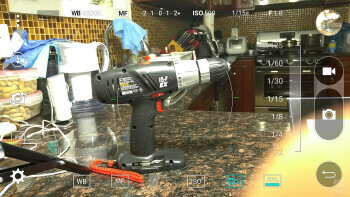 4K footage from both phones, shot at 30 frames per second, looks impressively detailed. If you like that silky smooth 60FPS motion in your videos, you have that option on the iPhone 6s Plus, although footage is limited to 1080p resolution. Disappointingly, the LG G4 only goes up to 30 FPS in 1080p regardless of the video resolution setting. 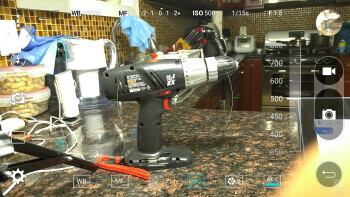 We must note that changing the video recording resolution through the Settings menu on the iPhone 6s is not a very efficient solution, as we'd much rather do it from within the camera app itself, like on the LG G4. 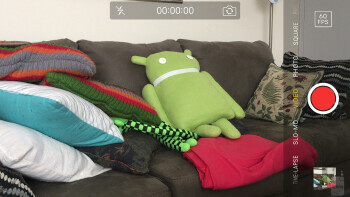 Overall, video quality is great from both smartphones, as they deliver good detail and even exposure. 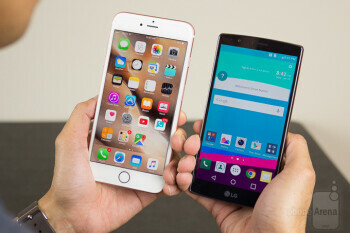 The iPhone 6s Plus favors a warm look, while the LG G4 tries to stick to a more natural color reproduction. Also, we noticed that the LG G4 has a wider field of view, while the iPhone 6s Plus has a narrower one, making videos look as if they're slightly zoomed in. On the downside, the LG G4 sharpens details more aggressively and its image stabilization isn't as effective as that on the 6s Plus. Big screens and loud speakers galore! 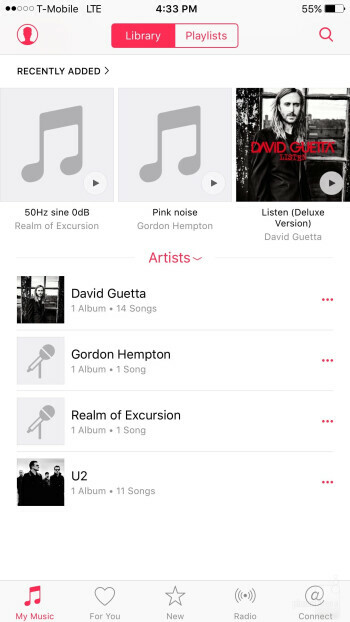 The iPhone 6s Plus wins with iTunes and Apple Music integration, but the LG G4 accepts all kinds of video formats. Watching photos and videos is a joy on both smartphones, for they offer a fluid and feature-rich experience. Basic photo editing can be done inside iOS' and the G4's built-in gallery apps, although the free Apple iLife suite, available in the App Store, makes for an editing package of better quality than what's available on the LG G4 out of the box. 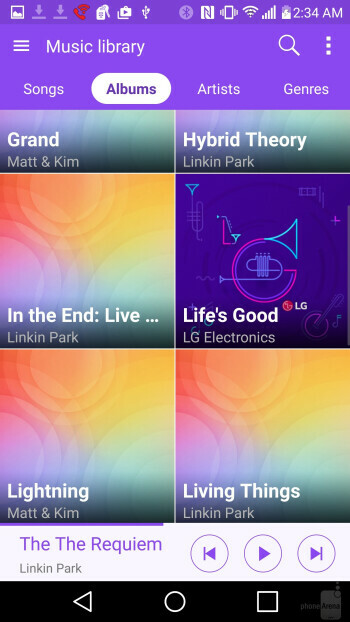 Music and video playback is great on both devices, although iOS's stock music player has much tighter iTunes and Apple Music integration than the LG G4 player's relationship with Google Play Music. That only matters if you're bought into the respective services, though. 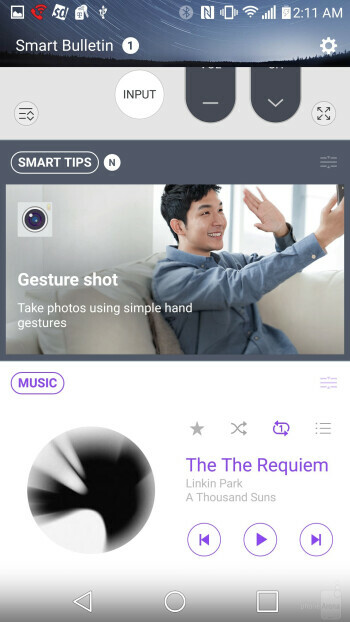 Moreover, the LG G4 is willing to accept almost any audio and video music format, while the iPhone 6s Plus' iTunes sync ordeal is stringent in regards to the file formats that you can experience on the device. 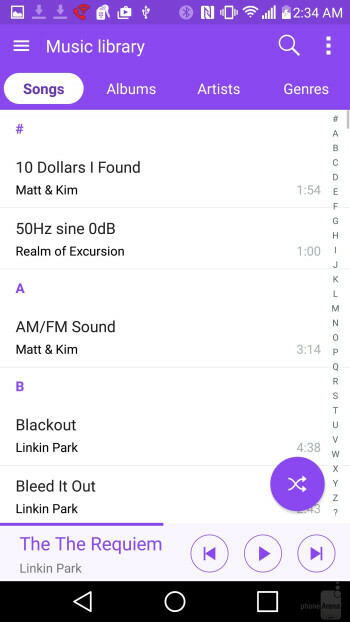 Measuring loudspeaker loudness, the LG G4 (79dB) is a full 8.4dB louder than the iPhone 6s Plus (71.6dB), although we liked the sound coming out of the Apple flagship more — it's simply livelier, with a nice depth and clarity to it. Even really nice smartphone speakers, such as the BoomSound speakers on the HTC One M9, sound somewhat muddy next to it. We can also say the same for the bundled earphones. The Apple EarPods easily outclass the LG G4's in terms of sound quality. Not that they are perfect or anything, but LG's earphones sound downright dull in comparison. Regardless of their image reproduction differences, watching video is a fun thing to do with the iPhone 6s Plus and the LG G4. 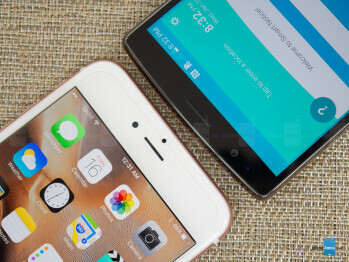 They both rock great 5.5-inch displays suitable for the task at hand. Even if the G4's colors are rather overblown, we must say that watching videos on its screen is a pleasant experience, especially if you happen to have some UHD content to really make all those extra pixels count. 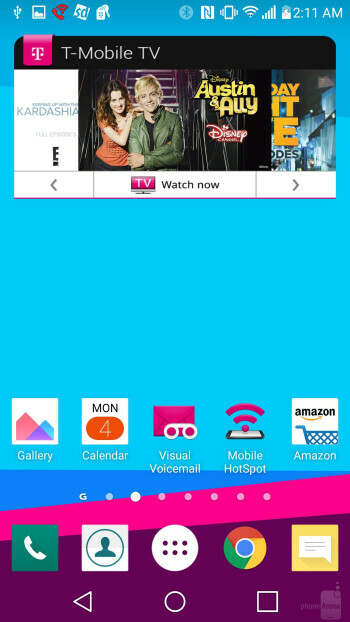 Additionally, the LG G4 lets one float a video on top of everything else going on, so you don't have to miss a beat if you need to do something else while watching video. Nothing outstanding here, just clear voices to listen to. Similar to what we came across last year, the iPhone 6s Plus delivers an acceptable performance through its earpiece, which happens to deliver strong tones that make it audible in noisy environments. Sure, there’s a little bit of crackle in the voice of our callers, but generally speaking, there’s good enough fidelity and clarity to carry on conversations. As for the LG G4 too gets the job done, as the earpiece and speakerphone produce strong volumes to make them useable in noisy environments. However, there’s a slight hint of distortion to voices through the earpiece that make them sound a little bit artificial, but it isn’t too terrible. On the other end of the line, things seem to sound better, as voices are audible and robust. Apple's phablet managed 9 hours and 11 minutes in our proprietary battery test, while the LG G4 finished a fair bit behind at 6 hours and 32 minutes of on-screen use. That's not the final verdict, however. The iPhone 6s Plus comes with a 2750mAh battery, one close in capacity to the LG G4's juicer. However, the difference in battery life between the two is quite substantial. Apple's phablet managed 9 hours and 11 minutes in our proprietary battery test, while the LG G4 finished a fair bit behind at 6 hours and 32 minutes of on-screen use. However, the G4's replaceable battery presents a clever solution to the problem — just pop in a loaded-up cell, and you're good to go for another round. The iPhone 6s Plus doesn't have that. Moreover, the LG G4 is compatible with Quick Charge 2.0-enabled chargers, which lets you cut off a bit of charging time. There's also wireless charging support, although you have to buy a compatible back panel separately. Apple is yet to adopt any of these solutions for its products, and we can only assume the company has its secretive reasons. While Apple sticks to its guns and cautiously reiterates upon the great success it had with the iPhone 6 Plus last year, LG is being experimental and introduces a very interesting alternative with the LG G4. We examined the two from multiple angles in this comparison, but we left an important and potentially deciding factor — price — for last. Starting at less than $450 unlocked, the LG G4 actually presents better value for money than the Apple iPhone 6s Plus, which starts at $750 unlocked. It is a solid all-around Android smartphone with compromises one can certainly learn to live with, unless they are an extremely demanding user. For the money, the LG G4 offers an interesting (though not as impressive as Apple's) design, big (though not color-accurate) display, decent (but not fantastic) performance, competent software functionality (but no fingerprint scanner), a camera with plenty of potential (that's not consistently great in Auto mode), and the freedom to add a microSD card or replace its empty battery with a charged one. That's a strong package overall, but then again, the iPhone 6s Plus' price premium will be well worth it for some users. Apple's phablet looks fantastic, has a much more color-accurate screen, moves swiftly and reliably, takes very good photos, and has excellent battery life. Great as it is, the LG G4 simply lacks the kind of pedantic polish that differentiates Apple from others in the smartphone game.